It is altogether fitting that Monsanto, the world's most evil corporate monster, is now going to be acquired by Bayer, the Nazi-era war crimes chemical company that committed crimes against humanity. The price of this demonic acquisition that will spell doom for humanity? A mere $66 billion. "German drug and crop chemical maker Bayer clinched a $66 billion takeover of U.S. seeds company Monsanto on Wednesday," reports Reuters. "If the deal closes, it will create a company commanding more than a quarter of the combined world market for seeds and pesticides in the fast-consolidating farm supplies industry." Reuters goes on to explain, "What the newly-formed company would be named is unclear." The combined name, of course, should be "MonSatanFarben" because Bayer is an offshoot of Interessengemeinschaft Farben, the Nazi-era chemical company that worked with Adolf Hitler to develop and deploy deadly chemical weapons against humanity. September of 1939: Germany invades Poland and within two days, France and Britain declare war on Germany. Hitler seized Norway and Denmark for the naval war against British trade supplies from America. Hitler had a war plan like no other in history, and it involved using chemicals against the enemy, even in the war camps. So how did Hitler gain SO MUCH POWER so fast? [By deploying a] cyanide-based pesticide that was invented in the early 1920s in Germany, best known as Zyklon B, and was being used by Nazi Germany to murder over ONE MILLION PEOPLE in gas chambers that Hitler's engineers and architects installed at Auschwitz death camp, the slaughtering headquarter and largest of all the other extermination camps. In waging World War II, Hitler and the Nazi regime hoped to control the world by force. Today, Monsanto and Bayer have learned that controlling the world by controlling the food supply is far easier in comparison (and relatively few people resist... go figure). The next step in all this is rather obvious. 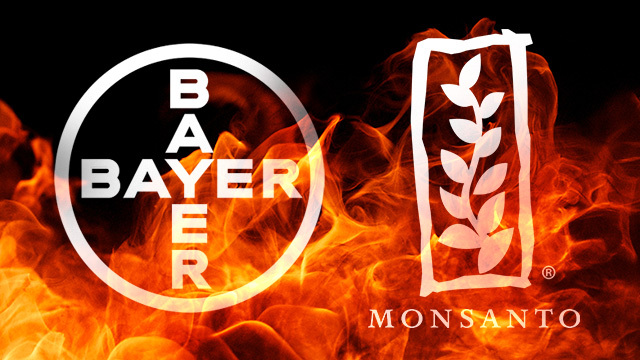 With control over one-quarter of the world's seed supply, MonSatanFarben (Bayer) will very sooner or later exploit its domineering control over the food supply as a means to control entire nations. Even before that happens, Bayer will be poisoning most of humanity with glyphosate herbicide (RoundUp), which now inundates much of the food supply. It seems that Bayer's desire to use chemicals to commit crimes against humanity never really ended with the Nazis. Now, with its acquisition of Monsanto, Bayer is revisiting that dark, demonic history and hoping to wield modern agricultural chemical weapons against all those who once escaped the Zyklon B gas chambers of the Nazi era. Except this time, they're not just coming for the Jews. They're waging indiscriminate depopulation and hoping to cause widespread infertility, cancer and early death across the entire human population. When the ashes of modern civilization are sifted through by future scientists, Bayer will be identified as playing a prominent role in the chemical destruction and downfall of humanity. Corporate monopolies are not new, but ownership of patented grain seeds connotes that the control of the food supply is in the grasp of a private company. US supreme court rules in favor of Monsanto, "that a farmer in Indiana violated the intellectual property rights of the agricultural biotechnology titan Monsanto when he regrew the company’s genetically modified and herbicide-resistant soybean seeds by planting second-generation seeds." "Today, the Supreme Court unanimously affirmed the corporate takeover of our food supply, in a huge win for Monsanto, and a major loss for America’s farmers and consumers. Monsanto has long engaged in an effort to subvert family farmers that do not use their genetically-engineered seeds and the Court has now handed corporations even more control over what our families eat." "There's nothing they are leaving untouched: the mustard, the okra, the bringe oil, the rice, the cauliflower. Once they have established the norm: that seed can be owned as their property, royalties can be collected. We will depend on them for every seed we grow of every crop we grow. If they control seed, they control food, they know it – it's strategic. It's more powerful than bombs. It's more powerful than guns." "Sixty to seventy percent of the foods in US supermarkets　are now genetically modified. By contrast, in at least 26 other countries—including Switzerland, Australia, Austria, China, India, France, Germany, Hungary, Luxembourg, Greece, Bulgaria, Poland, Italy, Mexico and Russia—GMOs are totally or partially banned; and significant restrictions on GMOs exist in about sixty other countries." "The recent approval of Monsanto's Roundup Ready alfalfa is one of most divisive controversies in American agriculture, but in 2003, it was simply the topic at hand in a string of emails between the US Department of Agriculture (USDA) and Monsanto. In the emails, federal regulators and Monsanto officials shared edits to a list of the USDA's questions about Monsanto's original petition to fully legalize the alfalfa. Later emails show a USDA regulator accepted Monsanto's help with drafting the initial environmental assessment (EA) of the alfalfa and planned to "cut and paste" parts of Monsanto's revised petition right into the government's assessment." Whatever else you think of former Congressman Dennis Kucinich, he has the guts to confront "The Influence And Corruption Of The Political Process By Monsanto", in a hard hitting video. No wonder he was gerrymandered out of office. "The chief agricultural negotiator for the US is the former Monsanto lobbyist, Islam Siddique. If ratified the TPP would impose punishing regulations that give multinational corporations unprecedented right to demand taxpayer compensation for policies that corporations deem a barrier to their profits.
. . . They are carefully crafting the TPP to insure that citizens of the involved countries have no control over food safety, what they will be eating, where it is grown, the conditions under which food is grown and the use of herbicides and pesticides." "Patents on seed are illegitimate because putting a toxic gene into a plant cell is not "creating" or "inventing" a plant. These are seeds of deception — the deception that Monsanto is the creator of seeds and life; the deception that while Monsanto sues farmers and traps them in debt, it pretends to be working for farmers’ welfare, and the deception that GMOs feed the world." The article, Genetic Modified Foods - Senate Bill S510, examines the highest of all stakes. "Control of the food chain is a concern that crosses all ideological perspectives. The most essential of all human rights is the effective ability of access and ingestion of nutrients that are necessary to sustain life. Forced feeding of toxicants, as the only foodstuff available to the masses, is a true crime against humanity." WE: I think this is the strategic interest of the US agribusiness lobby, the lobby of Bush senior as president in 1992. Monsanto went to the White House and had a closed-door meeting with Bush, and got him to agree to make sure there are no government tests whatsoever on the health and safety of GMO products before they were released to the commercial public. That was called the doctrine of 'substantial equivalence'– it’s a fraudulent doctrine if you just analyze the name, it’s by no means scientifically rigorous. The Globalist objective to reduce the earthly population coincides with Monsanto’s strategy to strangle the food supply. The world their 'substantial equivalence' envisions has no equality among humans. The roundup has begun and the survivors will be few. The federal government plans to lift the ban on funding controversial experiments in which researchers use human stem cells to create partially human animal embryos. After initially imposing a moratorium on the funding for ethical reasons, The National Institutes of Health, abbreviated as NIH, is proposing a new policy. The new policy would permit scientists to receive federal money to create these embryos, which are known as chimeras, under carefully monitored conditions. Scientists in favor of the new plan hope to use the study to find cures for disease. They also hope to be able to grow human organs like hearts and livers inside certain animals to be used as transplants for humans. Other scientists argue these chimeras may unintentionally be created with a part human brain, giving them a semblance of human consciousness and cognitive ability, among other issues. If the proposal moves forward, NIH could start funding projects by early 2017. The Original version of the paper-back is still available at AMAZON.CO.UK for the time being. Jurassic Park has a lot to answer for. It made the idea seem so simple. Take the DNA from a microscopic drop of dinosaur blood, preserved for 65 million years in the gut of a mosquito trapped in fossilised amber. Carry out a bit of jiggery-pokery involving chaos theory and Jeff Goldblum. Insert the dino DNA into the yolk of a crocodile’s egg and leave to incubate. Soon you’ll have a thriving menagerie of once-extinct beasts roaming the jungles of someone’s private theme park. The 1993 Hollywood blockbuster and Michael Crichton novel of the same name may not have invented the idea of “de-extinction” but they certainly put it out there as a concept. And like all good works of science fiction, it showed what goes wrong when scientists get above themselves. A rampant T-rex is, after all, the ultimate invasive species. De-extinction, or the idea of bringing extinct species back from the dead, has come a long way over the quarter century since Jurassic Park was first published. It has now matured into a quasi-serious science and has even been the subject of its own TEDx conference. Of course, no-one is talking about bringing back dinosaurs – their DNA is lost for good – but some scientists are proposing to resurrect a range of other, more-recently extinct species such as the passenger pigeon and the gastric-brooding frog, both lost within living memory. There are quite a few animals that have become extinct relatively recently that are potential candidates for de-extinction. They include the thylacine, or Tasmanian tiger, a large marsupial carnivore wiped out by sheep ranchers a century ago, the Pyrenean ibex which was hunted for sport until the last one fell dead in 2000, and the Steller’s sea cow, a gentle giant annihilated by hungry sailors in the 18th century. Perhaps the most emblematic of them all is the woolly mammoth. There are few animals that better represent the lost world of the Pleistocene than these huge, shaggy relatives of the modern elephant. Woolly mammoths roamed the vast grassy steppe of Eurasia and North America for hundreds of millennia. The very last individuals were an isolated population of pygmy woolly mammoths that lived on Wrangel Island off northern Russia about 4,500 years ago. There is no shortage of woolly mammoth tissue, some of it remarkably well preserved in the permafrost of Siberia and some scientists are confident that they can extract its DNA to bring the species back to life, either as clones or as a kind of mammoth-elephant hybrid. Scientists in South Korea and Russia are collaborating on a project to clone a woolly mammoth by extracting a cell nucleus from frozen mammoth tissue and inserting its entire genetic material into the enucleated egg cell of an Asian elephant, which would also act as a surrogate mother. It’s the same basic cloning technique that led to the birth of Dolly the cloned sheep in 1996, except this time two species are involved rather than one – and one of them has been extinct for thousands of years. The difficulties facing this particular de-extinction project are immense and few expect it to succeed. For a start, finding a good enough mammoth cell nucleus in preserved tissue is a tall order. Getting it to spark into life as a cloned embryo developing from the egg of another species is even more problematic – and that’s before the difficulties of pregnancy and birth. At present, the oldest frozen material used to create a cloned mammal has been laboratory-stored cells of mice kept in a fridge for 16 years. Being able to clone a mammoth from tissue cells that have been frozen for thousands of years in less than ideal conditions presents a far more formidable set of obstacles. Another de-extinction approach is to cut and paste large fragments of mammoth DNA into the chromosomes of an Asian elephant, thereby creating a genetically-engineered mammoth-elephant “hybrid”. Scientists involved in this project prefer to think about it as a way of making a cold-adapted Asian elephant with mammoth-like traits, such as hairy skin and layers of subcutaneous fat for good thermal insulation. Scientists have already managed to sequence about half of the mammoth genome from the many small fragments of DNA isolated from frozen remnants of biological material, such as skin, hair, bone, teeth and even dung. They believe it is only a question of time before they achieve their ultimate de-extinction aim: a living hybrid. “We’re preparing to make a hybrid elephant that would have the best features of modern elephants and the best features of mammoths,” George Church, professor of genetics at Harvard Medical School, told the TEDx conference on de-extinction, held in Washington two years ago. Since then, Professor Church has applied a sophisticated and revolutionary “gene editing” technique known as Crispr and has managed to get it working in elephant cells to carry out 14 precise changes to its genome. “We are now working on in vitro organogenesis [organ formation] and embryogenesis [embryo formation],” he told The Independent in an email. Put to one side for the moment the question of “why would anyone want to do this?” and ask “can Professor Church and his colleagues be serious?” Would it really be possible to bring back mammoths, or at least a creatures resembling and behaving as them, using the synthetic life technology of molecular genetics and cloning? Beth Shapiro, an evolutionary biologist at the University of California, Santa Cruz and expert on the ancient DNA of the Arctic, is something of a sceptic – despite writing a book called How to Clone a Mammoth: The Science of De-extinction. She points out the immense technical problems with this kind of work, mostly connected to the degradation of the DNA molecule after thousands of years. She says there are seven steps needed to clone a mammoth, starting with the DNA sequencing of the full mammoth genome, and ending with the birth and rearing of the mammoth hybrid or clone, and we haven’t yet cracked problem number one. “It’s a hard problem and a problem that probably won’t be solved without new and different biotechnology to what’s available today. But if it’s what we want to do we will eventually learn how to sequence the complete genome of an extinct animal. And then we will have completed step one,” she says. “While it’s not clear to me that there are compelling reasons to bring exact replicas of extinct species back to life, there may be compelling reasons to develop the technology to genetically manipulate living species. For example, this technology might be useful to provide a genetic “booster” shot for species that are critically endangered. So, instead of using this technology to bring extinct species back to life, we could use this technology to aid in the conservation of living and endangered species or ecosystems,” she says. Which brings us back to the question: why? Even if it were possible to generate enough individuals to produce a viable, breeding population of mammoths or mammoth-elephant hybrids, what would be the point? Some conservationists believe that the entire enterprise is a potentially dangerous distraction from the main job of preserving the many thousands of threatened species we still have left in the world. For years they have argued that “extinction is forever” but if governments and corporations believe that it’s not, then this could fatally undermine efforts to preserve and protect what we have. Stanley Temple, emeritus professor University of Wisconsin-Madison, believes that even if it works, the de-extinction approach could end up with a net loss of biodiversity, with less charismatic species in particular losing out. “Conservation biologists worry about de-extinction having a destabilising effect. If extinction is not forever, a lot changes... de-extinction might undermine conservation efforts. It could reduce concern over threats to biodiversity by giving us an unfortunate ‘out’,” he says. Professor Church argues the opposite. He says that creating a cold-adapted Asian elephant would mean that the species could roam further north than its existing, threatened habitat. “Elephants are currently in danger as they overlap with human populations. If they could be readapted to places of minus 50C, where there is low human density, they would stand a higher chance of survival,” he says. Both have suggested that the present-day tundra landscape of Canada or Siberia could accommodate a latter-day population of mammoths. It would be an extreme version of the idea of re-introducing lost species into an ecosystem where they were once expelled, only this time set in the Pleistocene and not in the present. “This landscape would easily be able to house the mammoth and I have to admit that there is a part of me, the child or boy in me, that would love to see these majestic creatures walk across the permafrost once again, but I do have to admit that part of me, the adult in me, sometimes wonders whether or not we should,” Poinar says. By knowing about the mammoth-elephant genes for oxygen transport in the blood, the genes for body fat and hair growth, and other genes needed for survival, it might be possible to recreate a hybrid elephant-mammoth that is well suited for the conditions of the subarctic tundra, Professor Church believes. Furthermore, the reintroductions of this extinct species could have wider benefits for the Siberian wilderness, he argues, citing the work of Russian scientists who are already trying to recreate the sub-arctic habitat of the Pleistocene. One such researcher is Sergey Zimov, director of the Northeast Science Station in Cherkii, in the Russian republic of Sakha. Zimov has long had an ambition of bringing back ice-age species and letting them loose in an area of Siberia he has named Pleistocene Park – a vast nature reserve on the Kolyma river in the Russian Far East that aims to recreate the subarctic steppe grassland that was replaced by mossy tundra when the mammoths became extinct. Zimov articulated his vision 10 years ago in the American journal Science. He argued that recreating the lost Pleistocene habitat could be possible by re-introducing the right combination of animals that helped to shape these landscapes. “If we accept the argument that the pasture landscapes were destroyed because herbivore populations were decimated by human hunting, then it stands to reason that those landscapes can be reconstituted by the judicious return of appropriate herbivore communities,” Zimov wrote. His vision is to have reindeer, moose, Yakutian horses, musk oxen, hares, marmots and squirrels feeding on the vegetation of Pleistocene Park. These could be kept in check by predators such as wolves, bears, lynxes, wolverines, foxes, polar foxes and sables. Bison could eventually be re-introduced from Canada and even the Amur tiger could be brought in as a predator, once animal densities increase to levels that would sustain such a carnivore, he explained. If mammoths existed, they would play a role in maintaining the grassy vegetation of the mammoth steppe, which turned from relatively lush grass steppe to mossy tundra once they went extinct. By constantly churning the ground and spreading their manure, mammoths would be the key species that would keep the grassy steppe from being smothered again by mossy tundra. Some experiments have even indicated that a mammoth-trampled tundra would keep the ground colder and prevent it from thawing in a warmer climate. In Zimov’s vision, returning the tundra to mammoth steppe would help to keep the vast stores of carbon locked away in the Siberian permafrost from escaping as the world gets warmer. “At present, the frozen soils lock up a vast store of organic carbon. With an average carbon content of 2.5 per cent, the soil of the mammoth ecosystem harbours about 500 gigatons of carbon, 2.5 times that of all rainforests combined,” Zimov argues. It is without irony that some scientists are seriously raising the possibility of bringing back the mammoth from extinction to help prevent our own demise. But not everyone is happy with the idea of de-extinction. Some conservationists see it as a distraction from the battle to preserve species teetering on the brink. “If it works, de-extinction will only target a few species and it’s very expensive. Will it divert conservation dollars from true conservation measures that already work, which are already short of funds?” asks David Ehrenfeld, professor of biology at Rutgers University in New Brunswick, New Jersey. “At this moment brave conservationists are already risking their lives to protect dwindling groups of African forest elephants from heavily-armed poachers, and here we are talking about bringing back the woolly mammoth. Why Is The Scientific World Abuzz About An Unpublished Paper? 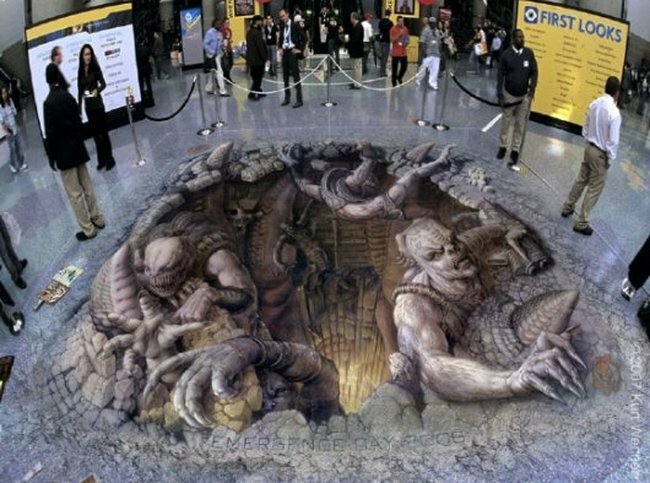 Because It Could Create Humans That (Once Again) Become “Fit Extensions” For Those Immortals That Tom Horn & Cris Putnam Are Warning About — Will The Human Genetic Code Be Permanently Altered And Bring Back What The Watchers Did In Ancient Times That Caused ‘All Flesh’ To Be Corrupted! On April 3 2015, a group of prominent biologists and ethicists writing in Science called for a moratorium on germline gene engineering. 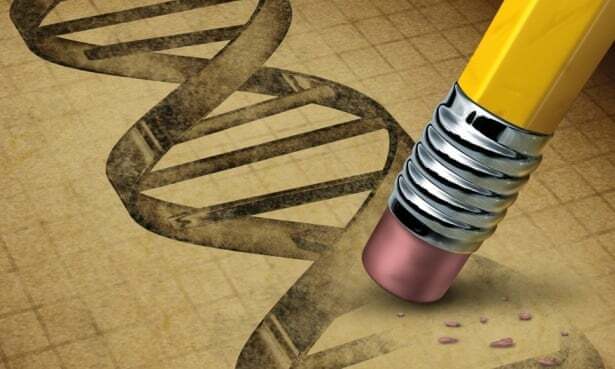 On April 3 2015, a group of prominent biologists and ethicists writing in Science called for a moratorium on germline gene engineering; modifications to the human genome that will be passed on to future generations. The moratorium would apply to a technology called CRISPR/Cas9, which enables the removal of undesirable genes, insertion of desirable ones, and the broad recoding of nearly any DNA sequence. If these recommendations seem familiar, it is because this is not the first time science leaders have responded to a similar problem. In calling for a moratorium on germline modification, the group invoked a famous precedent: the 1975 meeting at Asilomar, California on recombinant DNA. Two years before that meeting, scientists declared a voluntary moratorium on experiments that they worried might endanger human health and the environment. The moratorium allowed for a period of reflection to ensure that scientific progress would proceed without putting society’s wellbeing at risk. Asilomar is remembered as a great success because it defused public anxiety and opened up the market for biotechnology. It is frequently cited when people are uncertain about what is at stake in emerging scientific domains. Asilomar offers an easy recipe for public policy: a research moratorium followed by an expert assessment of which risks are acceptable and which warrant regulation. It is a tonic to cure public anxiety and create safe spaces for science. But how good is the Asilomar model for governing controversial biotechnological advances? The answers are ambiguous at best. The Asilomar meeting achieved agreement in part by bracketing off three serious concerns: environmental release of engineered organisms; biosecurity; and ethical and social aspects of human genetic engineering. Decades later, these are precisely the issues we are still wrestling with in the public domain. The molecular biologists at Asilomar sidestepped ecological concerns by prohibiting the release of genetically engineered organisms into the environment. A few years later, scientists on the US Recombinant DNA Advisory Committee unilaterally tried to end the prohibition on release of genetically modified (GM) organisms into the environment without asking for an environmental impact assessment. They judged the issues to be purely technical, to be resolved by scientific expertise alone. But history suggests their confidence was misplaced. Persistent controversy over GM crops and foods, longstanding in Europe and on the rise in the United States, indicate that legitimate public concerns about the benefits of these technologies could not simply be wished away. Biosecurity came back to haunt us in 2012 when a Dutch researcher at Erasmus University used research funding from the US National Institutes of Health to create an H5N1 flu virus that could cause a pandemic. He sought to publish the results, raising sudden concern that this knowledge could be used as a tool of bioterrorism. Yet multiple rounds of scientific peer review had essentially failed to question whether the research itself was beneficial or appropriate. Ethical questions, too, continue to swirl around genetic engineering and embryo research. Rumors that genes of human embryos have already been edited resurrect anxieties that the Asilomar scientists neither defused nor eliminated. The experts calling for a moratorium on human germline editing assert that more research must be done before we can judge the ethical propriety of genetically modifying children. Besides, they argue, global publics must be educated by experts before an informed dialogue can take place. But the problem is not simply a lack of technical knowledge. The answer to how we should act does not lie in the technological details of CRISPR. It is our responsibility to decide, as parents and citizens, whether our current genetic preferences should be edited, for all time, into our children and our children’s children. A moratorium without provisions for ongoing public deliberation narrows our understanding of risks and bypasses democracy. Regrettably, we have not yet developed the habits of deliberation that could guide research agendas before technological innovation renders neglected ethical questions immediate and urgent. Even in technologically advanced societies, we tend to defer to expert judgments about which risks are reasonable to worry about, and which are not. This is a democratic deficit. It inhibits our capacity to participate thoughtfully in imagining the futures we want and governing technological change accordingly. Education has a vital role to play in remedying the democratic deficit, but what citizens need is not simply more STEM (science, technology, engineering, and mathematics) courses. Knowing science does not teach us how to live well with its power. Our universities need to devote more resources to teaching the relationship between science, technology and society so as to produce the citizens, the concepts, and the conversations capable of guiding our common future. Prudence demands that we marshal the full force of democracy to imagine the lives we want. Otherwise we will find ourselves governed by technologies whose implications we did not foresee and whose development we chose to neglect. Sheila Jasanoff (@SJasanoff) is Pforzheimer Professor of Science and Technology Studies at the Harvard Kennedy School. J. Benjamin Hurlbut is assistant professor of bioscience ethics in the School of Life Sciences at Arizona State University. Krishanu Saha (@sahakris) is assistant professor of biomedical engineering at the Wisconsin Institute for Discovery at the University of Wisconsin-Madison.